QHacks is a hackathon hosted at Queen’s University where software developers come together to collaborate on projects and win prizes. 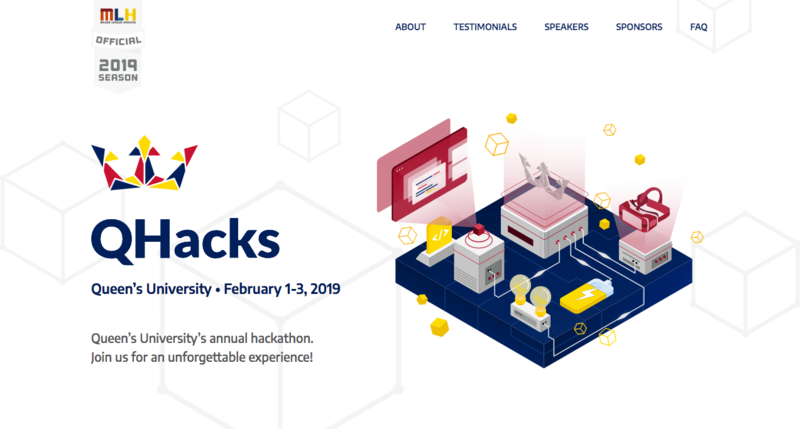 As part of the Technology team on the QHacks 2018/2019 Executive, my role was to help build a new website for the event that contains information on sponsors, the event schedule, and how to apply. I also build the front-end of our QHacks application dashboard - the webapp interested students used to apply to the event and give us more information about themselves. Over the month leading up the the event, the application system took in applications from over 1200 interested students - about 400 of which were accepted.